The Newest Rant: My Third Time at the ToyMan Show Was Fantastic! My Third Time at the ToyMan Show Was Fantastic! Today, December 10th, I attended the last Toyman show of the year for much of the morning (and it wraps up soon this afternoon). 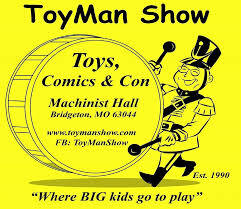 I have now visited the Toyman show put on by Chris, "Toyman," McQuillen three times in a row, so I'm thinking that illustrates how much I greatly enjoy going to it! Seeing as I am now becoming a regular I'm even more impressed by how the vendors always seem to have a wide variety of stock every show and I always find some cool stuff! Chris has a great variety of vendors at the show as I spent a good deal of time looking at the classic vintage toys, Funko Pops, and comic-books. This visit I did not buy any Funkos but did come across some cool comics! How about I share some of them with you now? 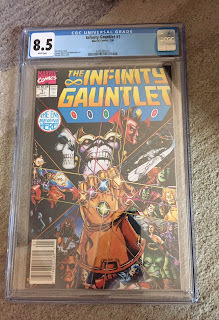 My favorite find this show was a, "slabbed," copy of the first issue of, "Infinity Gauntlet," which I acquired from STL Comics. 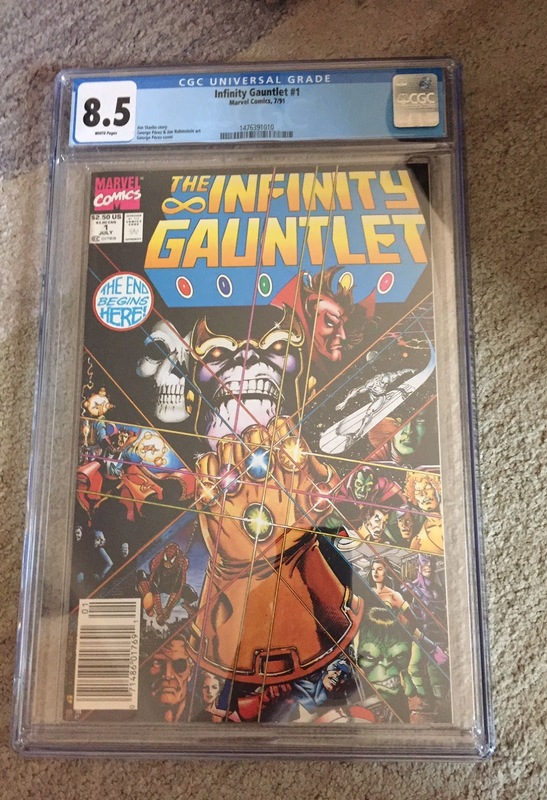 I've discussed mixed feelings about slabbed books on the blog before, but as I of course have this saga of a story in trade form I just thought it would be neat to display the first issue with its gorgeous cover-art, and while 9.4-and-higher slabs sell for absurdly high sums I got this 8.5 very fairly. I also stumbled across an old issue of the, "Widow," comic by friend of the blog Mike Wolfer and was pleased to pick that up from a vendor. 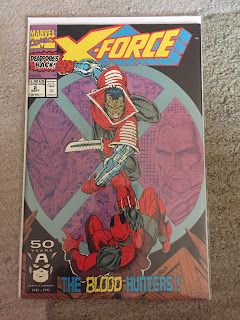 The last item of note I got was this snazzy issue of, "X-Force," featuring the second-ever appearance of Deadpool. I don't have the kind of money to pay for his first appearance but the second time he showed-up I can buy! 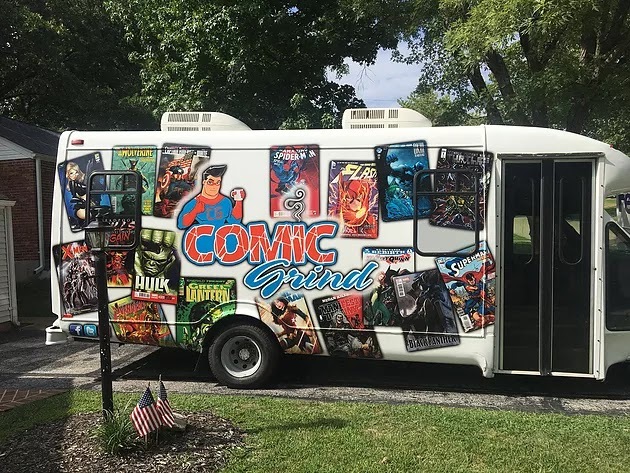 One other thing at the show which I found really cool was a vendor known as the Comic Grind bus. 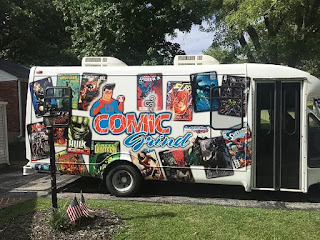 It looked like a regular bus with lots of decorations from the outside, but once you stepped inside it turned out to be a full-fledged portable comic shop that also could serve food and drink (although it wasn't selling edible items today so as to not impede on the food-sales inside). I talked with one of its creators, Phil Trapp, and told him how impressive the whole set-up was. He thanked me for my kind words and told me about their website where you can actually book the bus to come to parties or special events. I know if I ever hold an event big enough I'd be sure to have them come as I'm gonna save-up some money to get that, "Marvel Spotlight," they had with Moon Knight on the cover! This last Toyman show of the year was just as fun a time as the other two I have attended and as long as Chris doesn't mind me bugging him about coming to the shows I'll keep writing about them and how awesome they are! You can visit the site here and get excited for all the shows coming in 2018--you'll most likely see me there at a number of them! Return of the Manga Reviews! Disney Might Buy Fox, What Does that Mean Though? 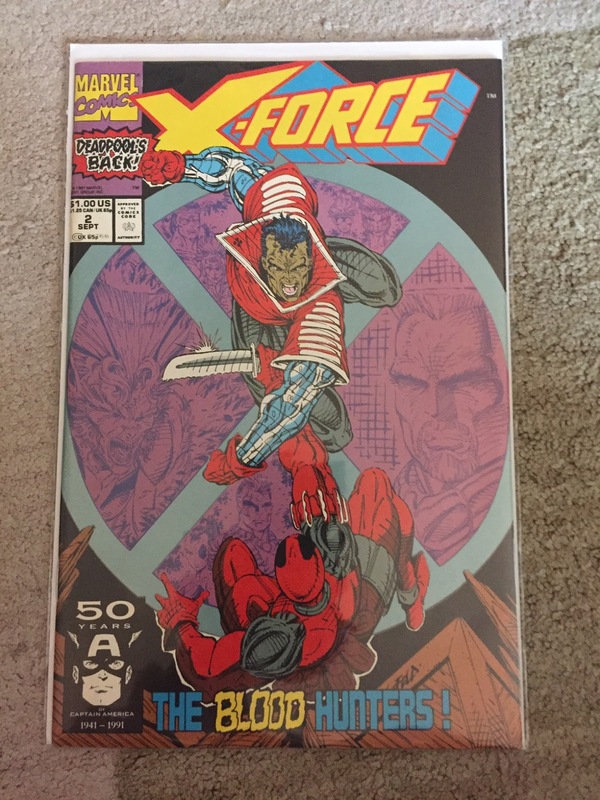 Online Comic Auctions Are Fun!